Reports on, modifies, and deactivates the BricsCAD Communicator single-user or volume-license key though a dialog box. 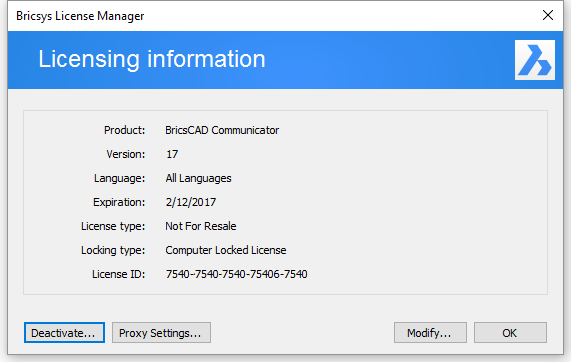 LicProperties - reports the BricsCAD license information in a dialog box. Allows to modify or deactivate a BricsCAD single user or volume license key.